When the roux (the butter/flour mixture) begins to darken, add half the milk and bring to a boil, stirring continuously. Add the remaining milk. Return to a boil and stir for 2 minutes. This will ensure there are no lumps in the mixture. Reduce heat and add cheddar, gouda, cream cheese, mustard, salt, pepper, and nutmeg. 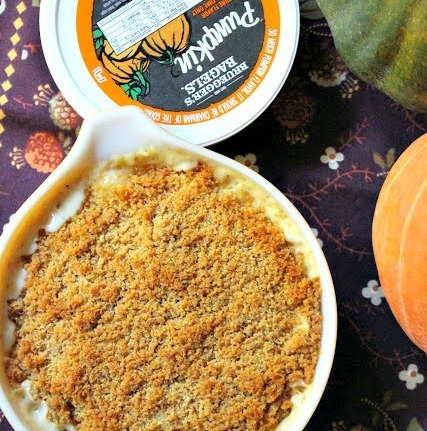 Three Cheese Pumpkin Mac & Cheese Recipe by Grace of A Southern Grace blog.